Town Square is a huge community currently under construction located at the cross roads of Al Qudra Road and Emirates Road. Launched in March of 2015, this affordable housing project has been strategically planned for over a year. 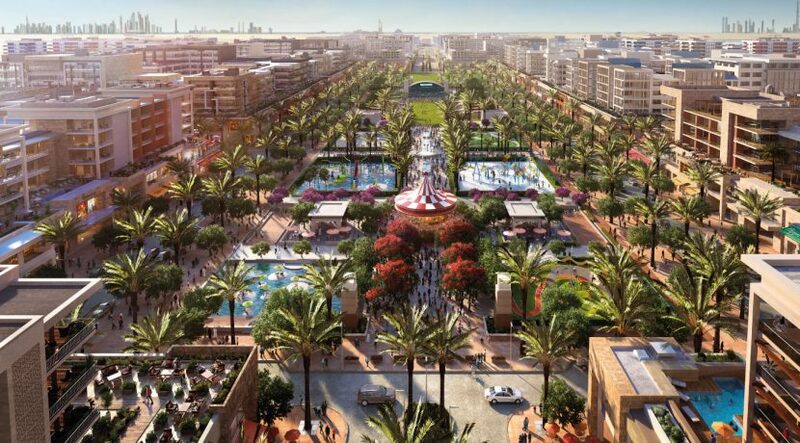 This project is being developed just on the other side of the road to Emaar’s Al Reem development, where projects such as Mira and Mira Oasis were launched in 2013 and 2014. The Community is spread across a total of 750 acres and contains mainly townhouses and low rise apartment complexes. The key notable feature of this development is a large “Town Square” at the center of the project which will have over 350 Retail Stores, and plenty of Parks and Recreation. The project has already signed deals with Vida Hotel and Reel Cinemas to provide clients with a higher service and quality. This is the Developer’s first project however the group is supported by well known Investors who are extremely familiar with not only the International Real Estate Development Market, but are experts when it comes to the Dubai, and United Arab Emirates Real Estate Markets. This Development has the potential to become a prime address to live once handover starts in 2017. Affordable housing in Dubai is truly the future, as this location is closer to the Dubai World Central, the new airport set to have 5 Functional Run Ways in the coming years. 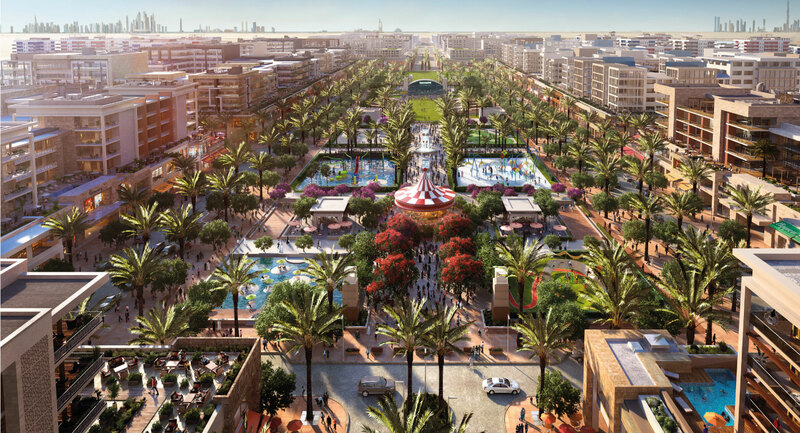 The Town Square project site, is also within proximity of the Dubai Investment Park, which is the site of the much anticipated and hyped EXPO 2020.